The Pears Innovation for International Development Program at Tel Aviv University is a policy and programming incubator established in 2008. 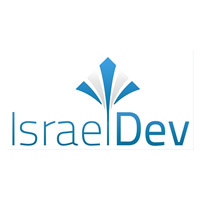 The program’s mission is to increase the contribution of Israel to solving challenges of international development through the creation, adaptation, and distribution of innovative technologies in fields of Israeli expertise. To achieve this aim, the program works closely with the private sector and relevant public bodies to develop mechanisms that support the expansion of Israel’s private sector involvement in developing and marketing technologies for development. Aliza Inbal is Director of the Pears Program for Innovation for International Development at Tel Aviv University. 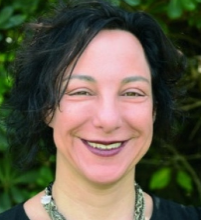 She is recognized as one of Israel's primary experts on innovation for international development, and works closely with the Israeli government, private and entrepreneurial sector and academia in order to develop the institutional infrastructure to support significantly greater Israeli involvement in innovation for developing countries. Dr. Inbal is also the Deputy Director of the Food Security Program in Tel Aviv University. Before coming to academia, she had a lengthy career as a career diplomat in the Israeli foreign service, including posts at the European Union, United Nations and Kinshasa, as well as directing Israel's development aid program in the Middle East. She has also served as a Senior Evaluation Officer at the World Bank's Independent Evaluation Group, a speechwriter for Prime Minister Rabin and a radio news producer. Her Doctorate is in International Development Administration from George Washington University. Her work on innovation for development in Israel has earned her recognition in Israel's Maariv newspaper as one of the 100 most influential Jews in the world.